The Wake Up Project: WHO WAS OSAMA? WHO IS OBAMA? [Osama bin Laden was recruited by the CIA, Al Qaeda was set up with the support of the CIA. Osama's safe haven was protected by US intelligence] . [The 9/11 attacks was the justification for waging war on Afghanistan on the grounds of`"self defense". 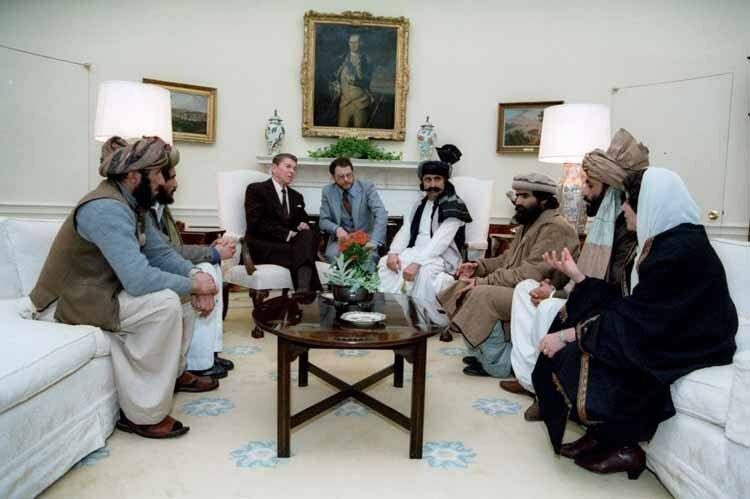 Afghanistan was said to be harboring Al Qaeda and was, therefore, complicit in an outright act of war against the USA. The fact of the matter is that the Taliban government on two occasions in the weeks following 9/11 offered (through diplomatic channels) to hand over Osama bin Laden to the US Justice system. President George W. Bush refused the offer of the Taliban government, intimating that America "does not negotiate with terrorists". [The whereabouts of Osama bin Laden have always been known to US intelligence. President Obama conveys the illusion that US-NATO forces and their intelligence operatives could not find bin Laden. In the words of former Defense Secretary Donald Rumsfeld (2002), "it is like searching for a needle in a stack of hay". The alleged Al Qaeda safe haven in Pakistan serves as a pretext for waging drone attacks against alleged terrorists in Pakistan's Federally Administered Tribal Areas (FATA). [There is ample evidence that Al Qaeda (a US sponsored "intelligence asset") is still alive and fully operational. Officially, the goal is to "defeat Al Qaeda". Unofficially, Al Qaeda is supported covertly by US intelligence. Since 9/11, Al Qaeda has developed into a multinational entity with "subsidiaries" in various geopolitical hotspots around the world. 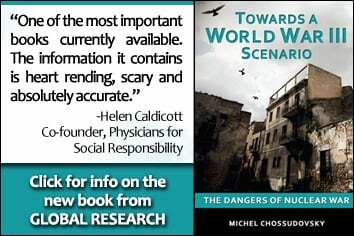 Supported by carefully crafted public relations campaigns, each of the presidential candidates will present –within the realm of a world of sheer fantasy– their ”Al Qaeda -Global War on Terrorism platform” to the American people. In this ritual, Al Qaeda becomes the central talking point of the campaign; all real major issues including the economic crisis, poverty in America and the devastations of war will be conveniently side-stepped. Labels: WHO WAS OSAMA? WHO IS OBAMA?